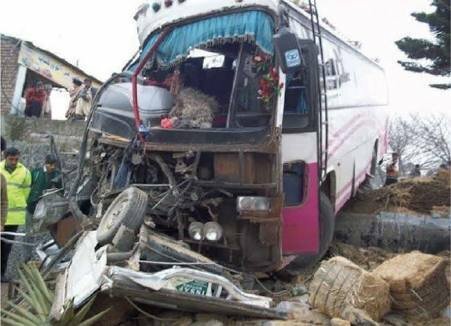 MANSEHRA: Twenty people, including women and children, suffered serious injuries when a speeding passenger coach hit a pickup van here on Thursday. The coach bound for Mansehra from Karachi first hit a power pylon and then rammed into a pickup van in Ghazikot area smashing it completely. Traffic wardens and local residents shifted the injured to the King Abdullah Teaching Hospital, where the condition of five of the injured was critical.